To people who would like to participate in running exercise, the most important thing is to do it gradually, an exercise in a proper way. Also, you must learn self-control. This requires us to distinguish between not running or do not want to run because sometimes the desire of running can suddenly disappear. Of course, if you feel ill, do not run, while in other cases people should be to overcome the inertia, and keep on exercising. At the beginning of the exercise, the limit of the running speed is no bad signs of your body, the proper range of running is there is no tired feeling. After the running your limb muscle will ache, it is normal, and this feeling will always go several days later. To make sure the rank of your exercise level, you can take kinds of tests after three to four months running exercise, the exam is according to the beginning line of the distance which is completed in twelve minutes. 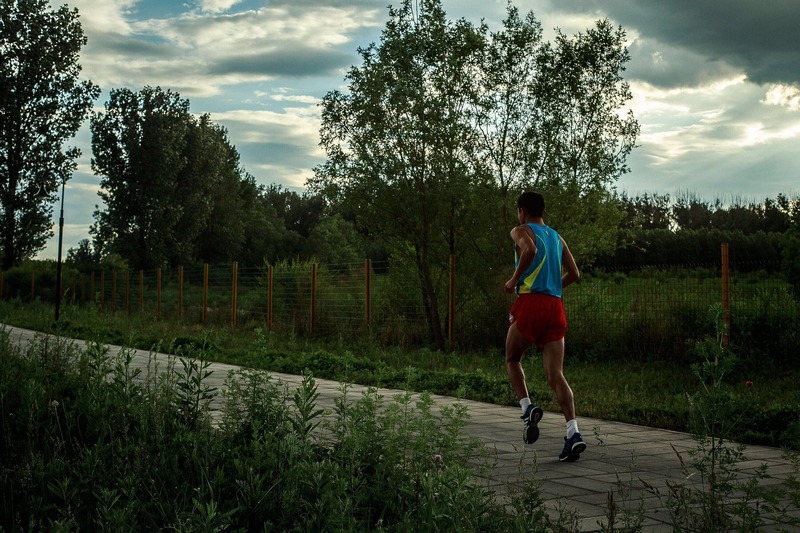 In the 30-39 age group, 12 minutes to finish the distance of less than 1.5-1.8 km, indicating the poor level of exercise; those can reach 1.8-2.6 km, indicating the level of exercise for good; if more than 2.6 km, can reach the excellent level of exercise. In the 40-47 age group, the poor level of exercise in every 12 minutes to finish the distance of 1.6 kilometers or less; the good for 1.7-2.4 km; outstanding for more than 2.5 km. More than 50 years old, poor, good and excellent in every 12 minutes to finish the distance are less than 1.5 kilometers, within 1.6-2.4 km and 2.5 km. Do not fantasy in the short term to achieve the desired results; only regular exercise will improve the level of exercise. If one week you only run once, rerun long distance may not benefit. Because the interrupt is running in six days, the body tissues have been running out, and the benefits of consumption were spotless, so more than three times a week are needed. People who lack usual exercise determined to start regular exercise, often excessive movement, this will lead to undesirable consequences. When you do sports, you need to do it step by step and write the below things in your notebook. Nature, content, sustained exercise date and time required for each exercise. The sense of yourself before or in or after sports time. The condition of your stomach and sleeping. Have or do not have the desire to exercise. The pulse condition. According to the record, it is not difficult to analyze the amount of exercise and exercise time and to make the necessary adjustments. Usually speaking, 5minutes later the stroke of the pulse has to be in 120bmp, the stroke of the pulse should be not excess 100bmp, or the size of the movement has to be decreased. More and more people begin to run for different reasons. You will not regret reading this text; it certainly will benefit you a lot. More and more people begin to run for different reasons. You will not regret reading this text; it certainly will benefit you a lot.